The perfect spice and seasoning gift ideas for any professional or home chef. 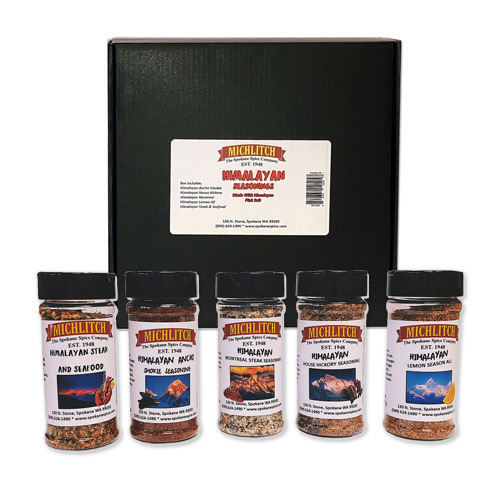 This gift pack includes freshly ground spices and handcrafted seasonings made from Himalayan Pink Salt. Himalayan Salt re-mineralizes the body with minerals and trace elements essential to our health and well being.